HoH Suite Spot - Steve's Detailed Breakdown Locks Us In Until The Very End Read what he says about what this summer has done for his confidence. 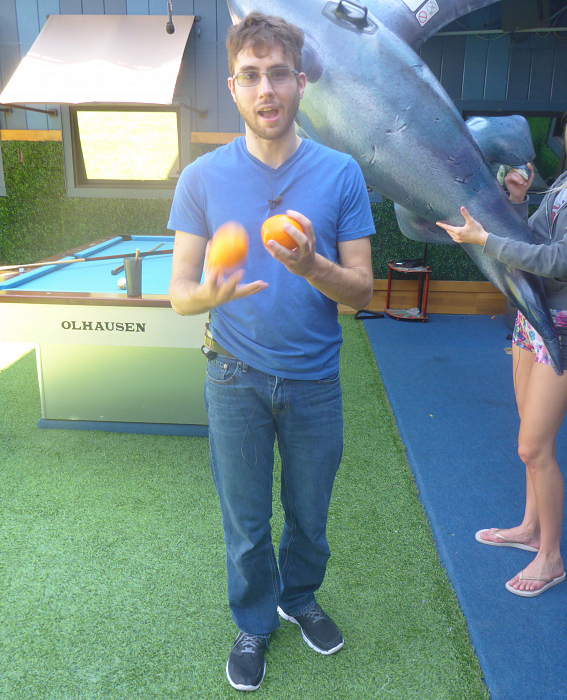 This week, Big Brother crowned Steve as Season 17's thirteenth Head of Household (HoH). In the letter below, Steve lets us into his world by sharing exclusive details of his BB experience from the very beginning to where he currently stands. Every 10-year-old dreams about what they want to do when they grow up. Most dream about becoming an astronaut, the president, or a professional athlete. I, being the strange child that I was, had two of those dreams—work for Walt Disney Imagineering, and become an official Big Brother Houseguest. Eighty three days ago, when I stepped into the back of Julie [Chen]’s studio, the latter of those goals was officially completed. I remember standing on the stage, my Big Brother bag over my shoulder, and I couldn’t stand still no matter what I tried. Vanessa, standing next to me, pointed out that my breathing sounded like I was about to pass out. My balance was also worse than hers was, despite my comfortable sneakers and her high heels. Okay, I may have been a bit nervous. But still, that feeling I got when I first saw the stage and the front door of the house, nerves dancing down my spine, is probably the single most powerful emotional experience I’ve ever had. It was a moment I’ll always remember and be grateful for because I am fully aware how many thousands upon thousands of fans try to walk in that front door every year, and by some stroke of luck, I was the fan who got to walk in this year. Okay, quick game summary. My strategy walking in the front door was to play, you guessed it, the sweet, naive, and innocent little kid who could never possibly be a threat to your game and would be a complete waste of your HoH. This meant throwing early comps like a mad man (though I’m not as brave as Dan Gheesling and willing to throw a Veto comp while I’m on the block.) I knew that I would be an early target with my complete lack of social skills, and I thought making myself the smallest target possible would be my only way out. Going up on the block the first two weeks in a row? Not surprised. Getting categorized as one of the outsiders during the first week of the game? Also, not surprised. My first big flaw in this plan came during the first Veto comp when the entire house was in awe of “trombonists.” I didn’t really think much of it during the comp; it’s a word I use regularly back at school, and Brendon spelled “understanding” twice, two letters longer. As shown by my zing, I was wrong. I feel like I’ve been fighting off the “smart kid” reputation ever since. Going forward, the huge turning point in my game was when we formed the Scamper Squad in week three after Vanessa and Austin won HoH. This alliance worked because no one would have ever pictured Austin and I together. We were complete and total opposites. Austin would walk around the house antagonizing me, [and] we were each other’s default answer when asked who we were going after, so no one ever would have suspected the five of us working together—or four, at the time since the twins were still effectively one person. The downside of this was that my name got thrown around in the first few weeks after the alliance formed. A lot. However, this was because (especially The Goblins) saw me as an independent in the game without any super-close allies. Throwing my name around would come with minimal backlash. Let’s say Person A is in power, Person B is on the opposite side of the house, and Person B is looking to protect his own alliance. Person B knows Person A isn’t going to put up anyone from his own alliance, and Person B doesn’t want anyone from his own alliance going up, so Person B is going to suggest someone in the middle to go up as a defensive move. In the pre-Jury part of the game, that was me. However, at the same time, it wasn’t fun being the suggested target week after week, being in such an obvious spot kind of kept me safe. Person A knew that getting rid of me wouldn’t help his game at all. It would be a much more effective HoH if he went straight into the heart of Person B’s alliance. It was a dangerous place to sit, but that’s where I sat, and it worked for a good while. I didn’t want to be too obvious in throwing since it was a comp everyone was expecting me to do well in, so I know I had to get a few right, but there were three separate questions where I deliberately gave Julie what I thought was the wrong answer. My answers to those three were wrong, I accidentally got them right, and I ended up in a HoH I didn’t want. Because I had no intention of winning that HoH, I didn’t have nominees or a target in mind going into it. Jackie was the one Goblin I had the weakest game connection with, and no one was going to vote out Meg because she’s… well… Meg, so I essentially picked those nominees on a purely gut instinct. I would be lying to pretend that they were carefully thought out nominees. So… there goes playing both sides and convincing The Goblins I’m one of them. However, I realized afterwards that I created a huge tipping point in the game because I was the first one to really take a stab at The Goblins, giving The Scamper Squad a numbers advantage. Liz won emojis, Austin won the sprinting, Vanessa won "Dizzy Land," and Liz won road trip, so we were able to completely plow through The Goblins (and Johnny Mac, by accident,) allowing me to sit here and write this for you in the Final Six. As far as this week…. yeah…. about that. I’ve known ever since the creation of The Scamper Squad that actually going to the Final Five would be a terrible idea because that would put Vanessa and I at a numbers disadvantage, but I always thought that we would lose at least one person along the way, so this Final Five would never be an issue. As a result of those mistakes, here we sat in the Final Six, HoH key around my neck. As far as I was concerned, when I won HoH this week, The Scamper Squad was done. My philosophy with any alliance is to contribute as little as possible and to take as much as possible, and when an alliance has nothing left to give me, there’s no reason for me to give anything more to it. That was the case with The Scamper Squad this week. As far as I was concerned, it’s me, Johnny, and Vanessa versus Austwins. I nominated the showmance because my worst-case scenario would be the third person winning the Veto and using it, forcing me to replacement nominate Vanessa or John, so I had to leave the least likely Veto winner off of the block—Julia. It wasn’t a fun move, but I’m literally aligned with every single person in the house right now with Scamper on one side and Rockstars on the other, so there was no way for me to get out of this week without making a huge move. Another part of my strategy walking into the house was to play a super defensive game for a long while, hide in my shell, and then pop out at the end to make the big moves I need to make to get myself to finale night. This is the week where I did that, and I hope it goes in my favor. Going forward, I’m really hoping Johnny or Vanessa win this next HoH. Johnny would put up the two remaining people from Austwins, but I think Vanessa would put up Johnny and a twin. Vanessa recently told me her ideal Final Three is me, her, and Austin. 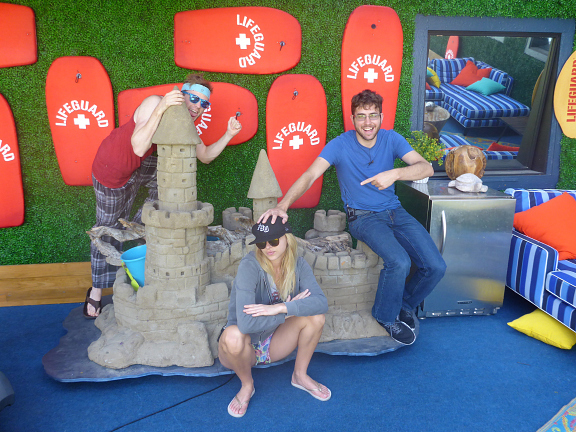 The best Final Three, as Derrick [Levasseur] pointed out last year, is when you’re there with two allies who aren’t working with each other, and Austin and I would give Vanessa that since we’re both strategically closer with her than each other. This is the same reason I would prefer a Final Three with me, her, and Johnny. I also think that Vanessa would be a really, really hard win in the finals. She’s playing everyone in the house right now. Literally everyone. I would be shocked if she doesn’t have a Final Two deal with Austin like she does with me, and there’s probably even more that I don’t know about. I could just be paranoid here, but I’m tempted to think she’s almost on Derrick’s level in terms of strategy and her ability to manipulate her fellow Houseguests. I would not be in the least bit surprised to find out she has a huge secret about her outside life she hasn’t told us. I want to work with her going forward, but right now, I want to subtly show Austin in every way I can that Vanessa is playing me just like she’s playing him, and we all need to be skeptical of Vanessa. Mom, Dad, Jeri, Alan, Kaelan, Harrison, Jason, Wilsons, and Richmonds: Thank you so much for your support. Your support means absolutely everything to me because I would never be here without you. I love you all so much and think of you all the time! 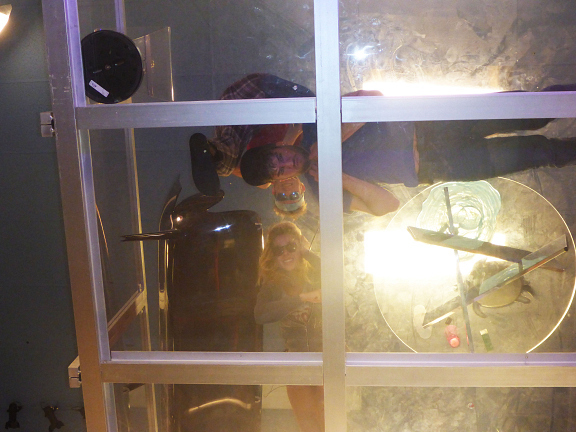 Fredonia: So…. sorry for bailing on the fall semester and any commitments I had lined up. I’m sure you’re doing more than fine without me, but I want to apologize to anyone who had to take a few extra steps to compensate for my not being there. I’ll be by campus sometime soon after I’m out of here. Making it to Final Five is waaay better than I ever could have hoped or asked for. This experience and making it this far has been absolutely amazing for my social confidence. No matter what happens from this point on in the game, I can leave with my head held high knowing that I do have the social skills to make friends and get around in the world, and that’s a really good feeling. 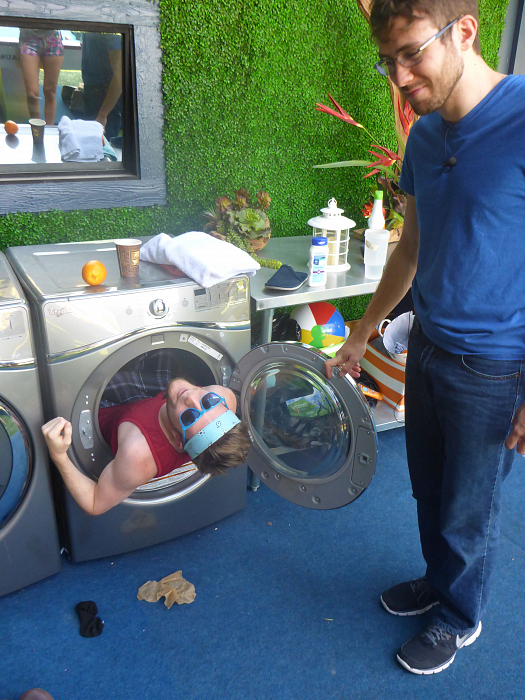 Watch Big Brother on Sundays and Wednesdays at 8/7c, and Thursdays at 9/8c.